This LC-358XXL Lift Chair from the Heritage Collection by Pride® Lift Chairs feature comfort and style. With an array of plush fabrics to fit any decor and a superior design for excellent strength, the Heritage Collection chairs offer style and durability that will last for years to come. 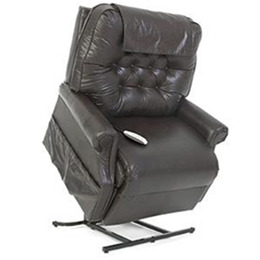 This LC-358XXL Lift Chair is available in a wide variety of fabrics including, but not limited to: Black Cherry, Pacific, Spruce, Stone and Walnut.